The new CEO of Heesen Yachts, Arthur Brouwer has stepped up to the helm at an exciting time for the luxury brand. 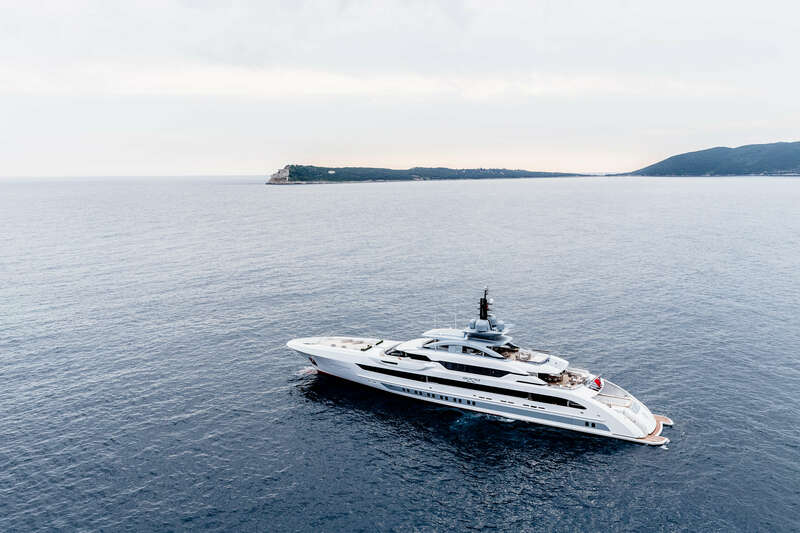 Following the launch of their biggest yacht to date, 70m Galactica Super Nova at the Monaco Yacht Show, Arthur spoke to LUX, as part of our Luxury Leader series, about meeting the demands of the modern consumer, new technologies and sailing on the Amalfi coast. LUX: What makes a yacht truly luxurious? Arthur Brouwer: At Heesen Yachts we strive to combine engineering and design, with luxury elements such as detailed interiors with high-end materials. All these aspects are perfected with top-notch technology, innovation and modern cutting edge-design, creating a truly luxurious yacht. LUX: How has the super yacht market evolved in the last ten years? Arthur Brouwer: Superyacht owners are now looking for bigger, faster, yet comfortable and silent superyachts. The exteriors are becoming increasingly important with more request for more outside space to enable guests onboard to take in the surroundings. 70m Galactica Super Nova, launching at the Monaco Yacht Show on September 28th, is the perfect example of this trend, with a maximum cruise speed of 30 knots which is exceptional for such a calibre. LUX: What are the most difficult issues you face as CEO of an international business? Arthur Brouwer: As discussed previously, the superyacht market is forever evolving and changing. As you can imagine, building a superyacht takes a certain amount of time, and when building on specs, we take a risk in offering the market something we predict will be suitable for future expectations. With the help of my great team, we seem to get it right though, but it is a risky process. Next year we will launch Project NOVA, a 50 metre Fast Displacement featuring a new hybrid technology for silent cruising. As we expected, silence is becoming the ultimate luxury. LUX: How have the demands of your customers changed? Arthur Brouwer: More and more our customers are asking for detailed and extravagant interiors and design. Since we build full-custom superyachts, we constantly seek to satisfy these demands, however outrageous, and generally make the impossible, possible. We are also very lucky to have a team of exceptional in-house naval architects to make this happen. LUX: All of your yachts are bespoke designs, what’s the most challenging customization you’ve faced? Arthur Brouwer: I think the most challenging customization was creating a glass pool bottom. The engineering around this had to be detailed to perfection to make sure the yacht could still cruise at high-speeds without shattering the glass floor. LUX: What are the most interesting growth areas of your market? Arthur Brouwer: I may seem repetitive, but once again, size is the constant growing area for superyachts. This is why we are currently building an 85m dry dock, meaning we will be able to build yachts up to 80m. LUX: Are your competitors other yacht companies or houses, other indulgences etc? Arthur Brouwer: We are competing against all the other shipyards, but competition is good. It means that we continue to raise the bar year on year and deliver at an ever higher standard. LUX: What are your best insider’s tips for visitors coming to the Monaco Yacht Show? Arthur Brouwer: Obviously no trip to the Monaco Yacht Show would be complete without a visit to a Heesen yacht, particularly this year where Galactica Super Nova is proving to be one of the stars of the show. LUX: Where’s your favourite place to sail? Arthur Brouwer: I love to sail to all kinds of exotic places, but a personal favourite is the Amalfi coast. LUX: What’s next for Heesen Yachts? Arthur Brouwer: Other than the development of unusual specialist builds like Project Nova; over the last few years we’ve seen a trend in the demand for bigger and bigger yachts, which doesn’t seem to be slowing down. We’ve just completed the addition of an 85m dry dock to our shipyard which will allow us to develop 80m yachts. Arthur Brouwer: Not at the Monaco Yacht Show! I enjoy long distance classic rallies.